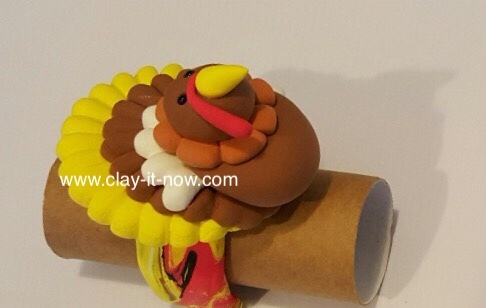 We make Thanksgiving turkey clay napkin ring this year. 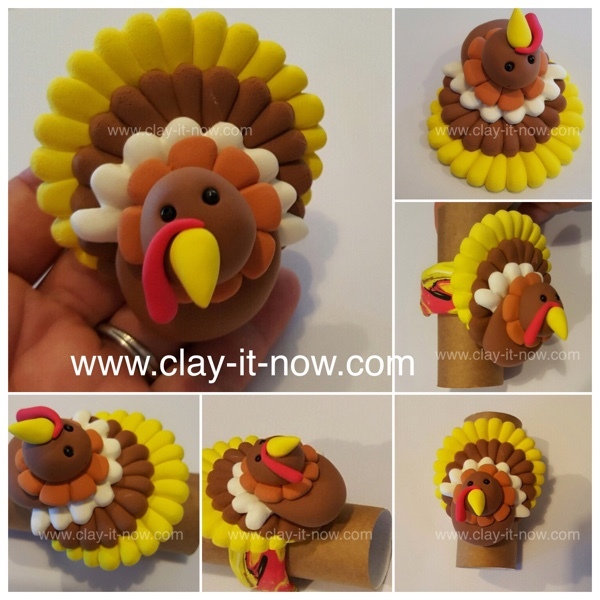 This cute Turkey clay was designed and created by Clayitnow. We've published this earlier at our facebook page and we knew that some of you like it so much that you use our design for a card or anything else. We are fine with that but hey....please give us proper credit as mentioned in our disclaimer. Alright, let us have fun making this easy craft. 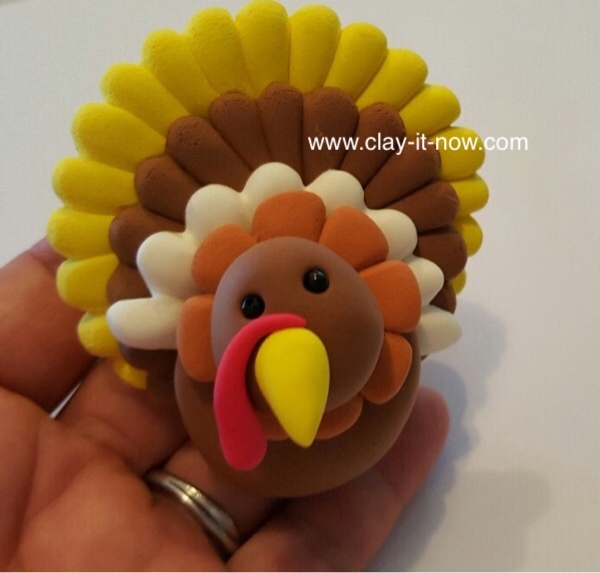 No doubt, you'll need clay for this craft :) But, what clay is good for this turkey? 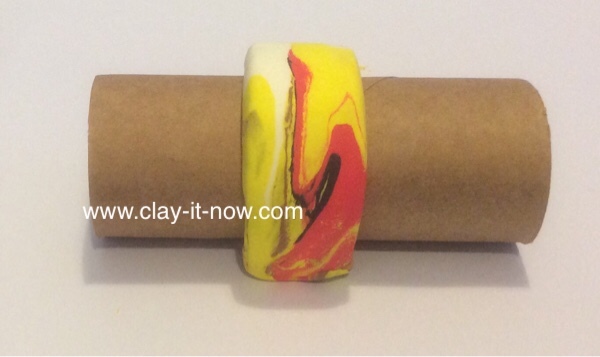 If you want it to dry hard, you can buy polymer clay. 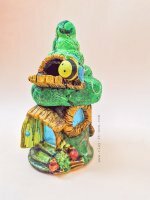 You can have the bake one or air dry polymer clay. Or homemade clay such as cold porcelain clay, cold porcelain clay without glue or even salt dough. 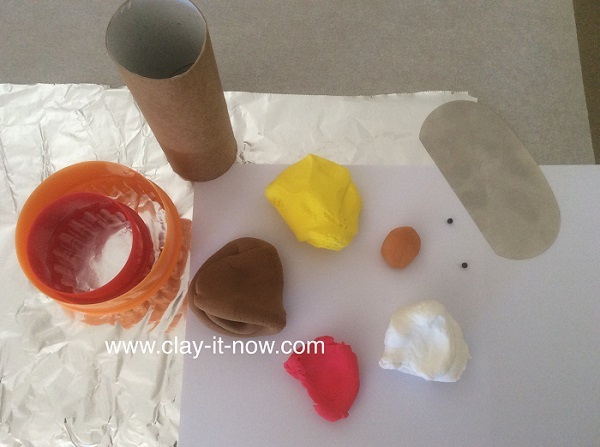 If you want the young kids to make this craft, soft polymer clay like Crayola, Cloud clay or Martha Stewart clay would be good because it is easy to handle. Check out our page, what clay to buy if you are not sure. And, you'll need 3 sizes round cookie cutters, aluminium foil for the napkin ring backing, empty toilet roll and clay knife. 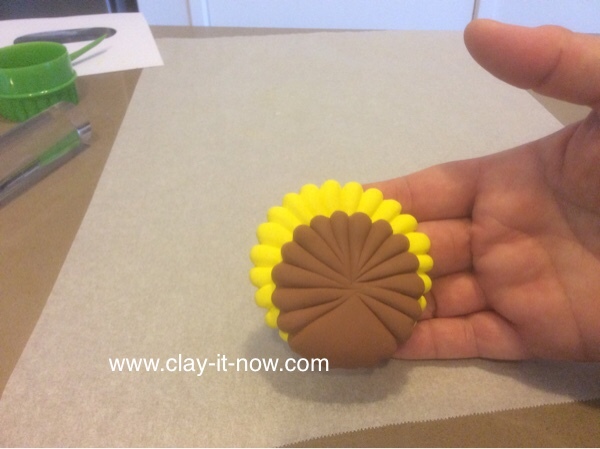 Start with yellow clay to make the round base, follow with brown and white clay. Make the feather lines with your clay knife. Paste the body on top of white clay and add the orange collar. Use the clay knife again to make the lines. Next, fold a piece of aluminium foil about the length of the empty tissue roll. Knead all the balance of the clay to make multi color ring. When the napkin ring about to dry (btw, we are using air dry clay) at least it is strong enough to support the turkey, paste the turkey on top of the ring. That's it! we are done. If you like you can also make a small turkey and use it as your jewelry charm, earrings or necklace. 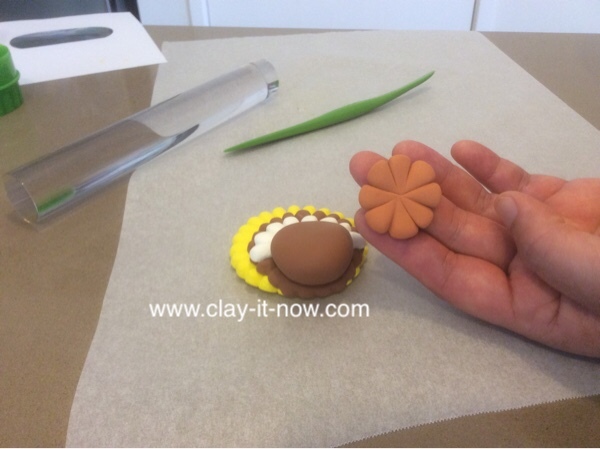 Well, isn't it easy to make the Thanksgiving turkey clay? But if you still wondering how we make the ring with aluminium foil or other steps, we have video tutorial for you to see. Click on the link or image below.